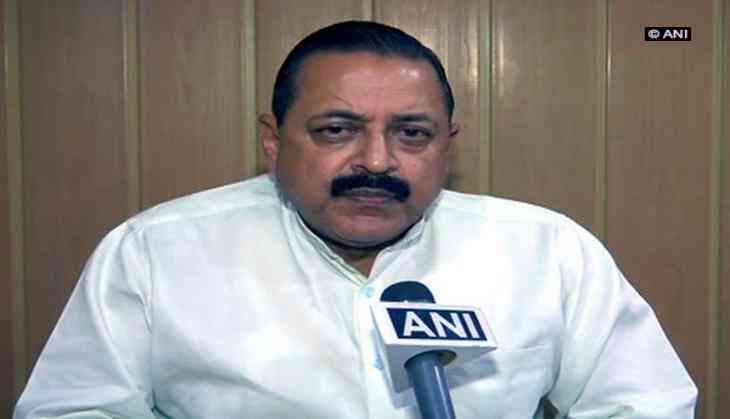 Union Minister Jitendra Singh said on 25 November that it was the outcome of Prime Minister Narendra Modi's successful foreign outreach which led to isolation of Pakistan. Singh's remark came after Congress vice president Rahul Gandhi took a dig at Modi following release of 2008 Mumbai attacks mastermind and Lashkar-e-Taiba chief Hafiz Saeed from house arrest, saying that the former's 'Hugplomacy' with U.S. President Donald Trump failed. The Minister of State in PMO even attacked late Prime Minster Jawaharlal Nehru and said the terror that India was facing today mostly in the state of Jammu and Kashmir was actually an outcome of what was started by the "infamous Nehru". "What Prime Minister Modi government is facing today and trying to find a resolution to an outcome of is the cumulative acts of omission and commission committed by the Congress party government from the very first prime minster," he said. "Last 2-3 years, the Modi government has followed a very decisive policy based on clarity, conviction and consistency as far as dealing with terror is concerned. And Prime Minister successful foreign outreach has seceded in isolation Pakistan," he added. Earlier in the day, Gandhi took to his Twitter handle and stated "more hugs were urgently needed" between PM Modi and Trump. "Narendrabhai, terror mastermind is free. President Trump just delinked Pak military funding from LeT. Hugplomacy fail. More hugs urgently needed (sic)," he tweeted. Earlier on 24 November, Saeed was released from house arrest in Lahore. Saeed is said to be the head of the U.S.-designated terror outfit Lashkar-e-Taiba and had been under house arrest since January 31 this year.